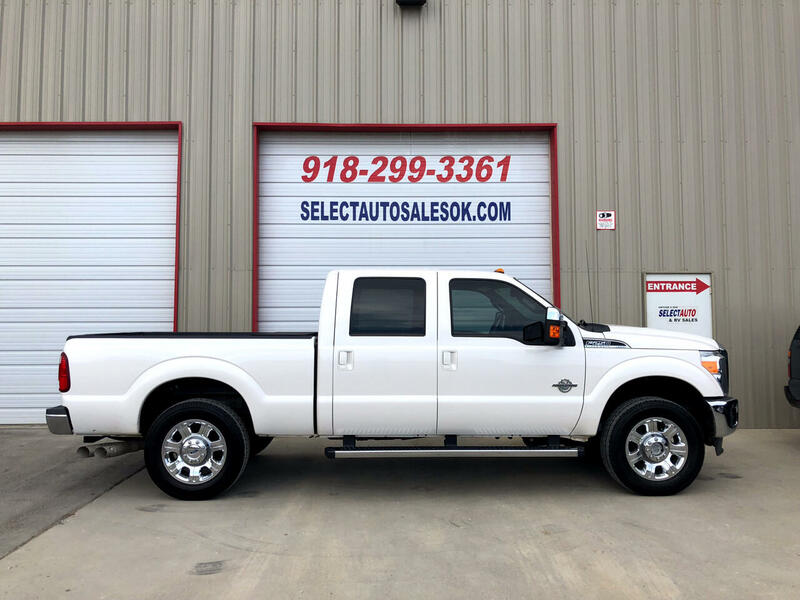 Here is a 2012 Ford F-250 Crew Cab 4x4 Lariat with only 109,000 Miles. This truck is in exceptional shape inside and out. Everything works as it should. The dealership has personally owned this truck for the past 1 year plus. All maintenance has been done at Ford. My Uncle previously owned this vehicle before us. It has been very well taken care of. This vehicle has a clean CARFAX vehicle history report with no accidents. Here is a list of some of the options on this Truck. Leather Interior, Navigation System with Back Up Camera, Bluetooth, Sunroof, Factory 20" Chrome Wheels, Heated/Cooled Seats, Memory Seats, Remote Keyless Entry, Remote Start, Remote Key Pad Entry, Spray In Bed Liner, B&W Turnover Ball, Trailer Towing Package, Tailgate Step, Fog Lights, Driver/Passenger Side Climate Control, Power Towing Mirrors, Steering Wheel Controls and so much more.